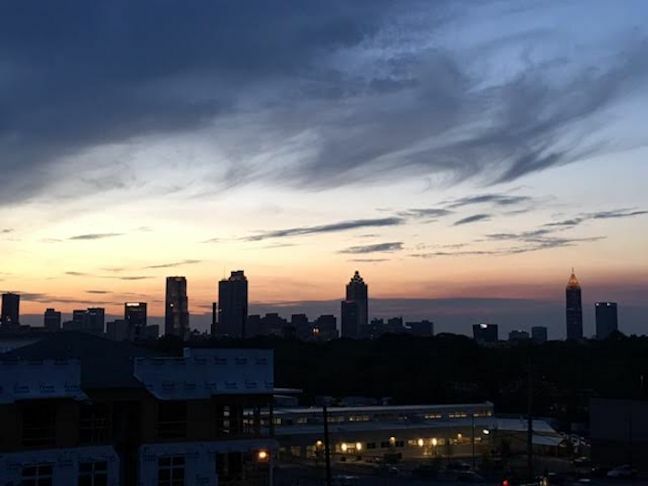 Tonight I spent a lovely evening with Terri in Atlanta in the Grant Park area. We ate pizza at Grant Central and then watched the sunset on a rooftop loft. Pizza, chocolate, friends, sunset – a great night all around. First stop was Grant Central. 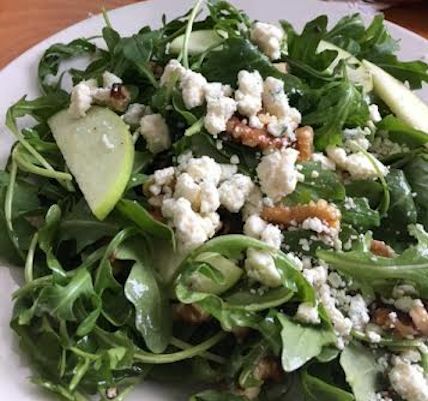 Terri ordered white pizza and an arugula salad. In case you want to order one, here’s what you’ll be getting. 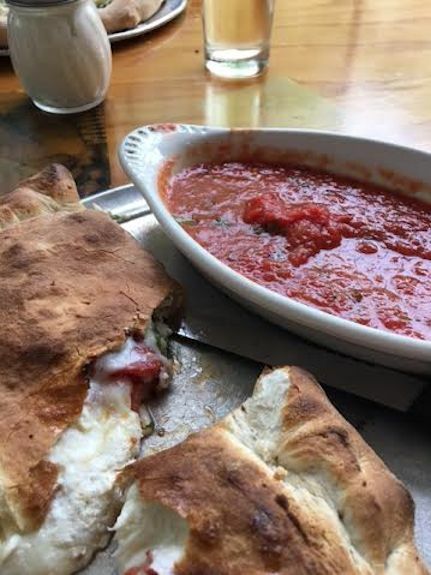 My fresh tomato and pepperoni calzone was delicious. 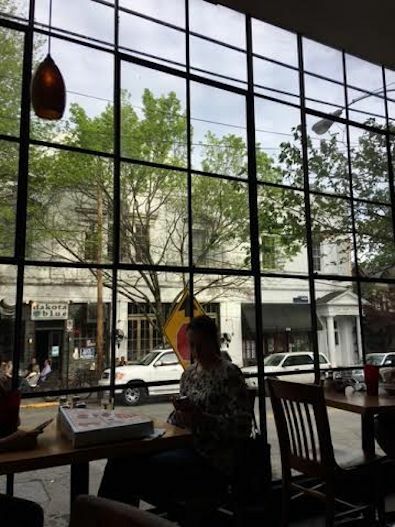 Everything tasted even more amazing because we got to sit in front of this wall of windows. Windows make everything better, I think. 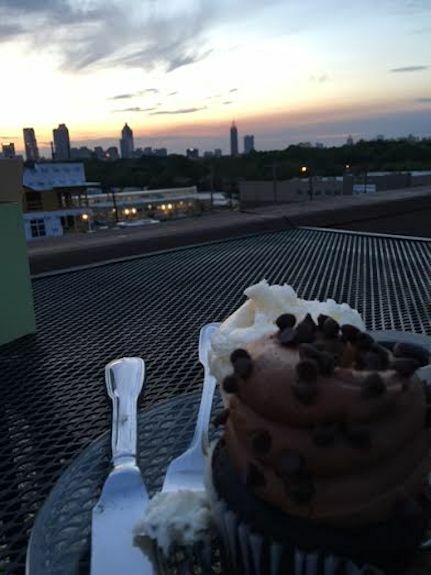 Next, we headed to the top of a friend’s loft to watch the sunset and enjoy dessert. 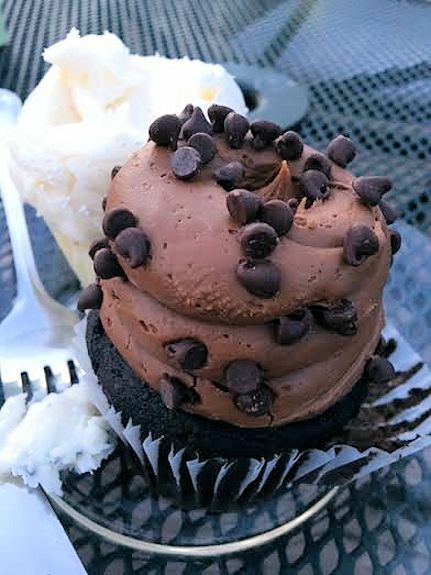 We brought up some Gigi’s cupcakes and shared a chocolate chip and wedding white. 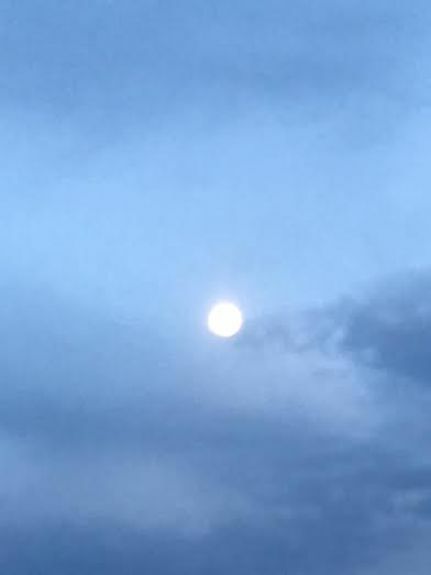 We saw the nearly full moon on one side and the Atlanta Skyline on the other. This was a nice break in the week to get to do something which for me is very different from my suburban lifestyle. Other than visits to my grandparents, I have lived in the suburbs my entire life. It’s funny how you get used to a way of life yet it’s fun to imagine a do-over sometimes. I’m not really sure where I’d go if I did reinvent myself, but I would be sure to include a few cupcakes and most certainly blue and pink sunsets with friends.